High endothelial venule. 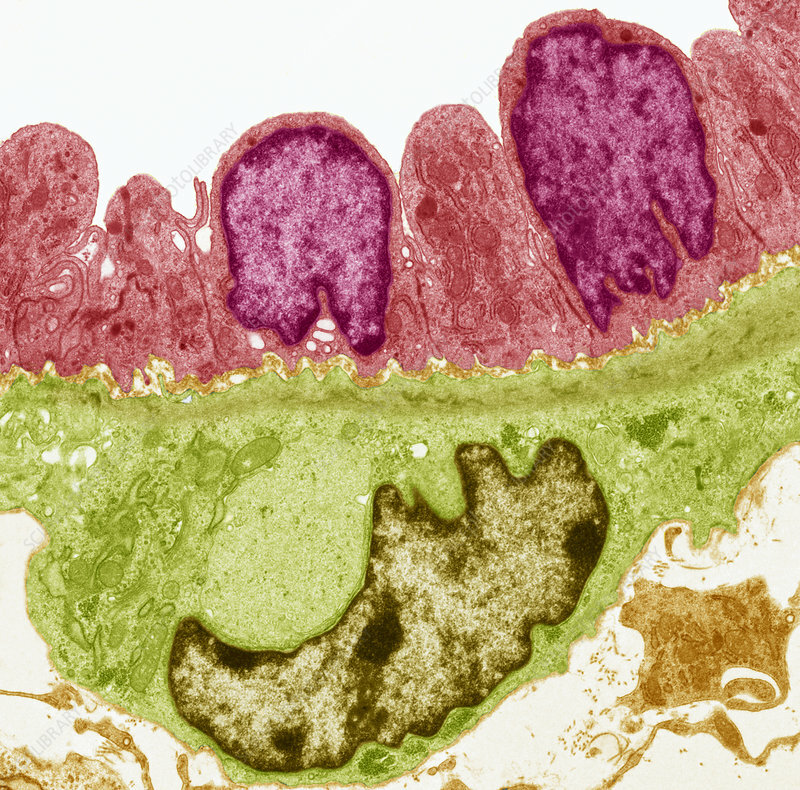 Coloured transmission electron micrograph (TEM) of the tall cuboidal endothelial cells (upper layer) lining a high endothelial venule (HEV). Venules are little veins that transport deoxygenated blood from the capillary beds to the veins. Endothelial cells line the entire circulatory system but HEVs are found specifically in lymph nodes, tonsils and Peyer's patches (lymphoid tissue in the small intestine). The special cuboidal endothelial cells, along with receptors, allow leukocytes (white blood cells) to gain entry into the lymph node via the blood. Magnification: x2900 when printed 10 centimetres wide.